The year 2017 has been a good year for us at SELL Foundation despite the challenges. We value the end as much as the beginning. Endings are great opportunity to take cursory look at the successes recorded, evaluate what went well and challenges as well as rigorously plan for the ensuing year. Consequently, these months were set aside for planning and evaluation where the Resource Team and stakeholders convene to appraise the past and to also plan for the future. This process kicked off with collaboration meetings with Industrial Training Fund (ITF), Development Exchange Centre (DEC) and Prison Services, Bauchi Command. The new areas of collaboration presented by the Director of SELL Foundation includes: Sharing expertise between the staff of the two organizations, intensifying Hands-on Skills and Entrepreneurial Training for SELL Volunteers on Hard -On Skills in 2018. The Area Manager gave assurances of continuous collaborating with ITF in that regard. In the same vein, SELL Foundation visited Development Exchange Centre (DEC) Office in Bauchi on the 12th November 2017 for a Partnership meeting. DEC work in areas of equitable opportunities for sustainable development which is complimentary to the vision of SELL Foundation. The high point of the meeting was on Exchange programmes between the two organizations as well as enable SELL volunteers to access soft loans to set up small and medium Entreprizes in order to sustain the entrepreneurial skills acquired and to improve their living standard. 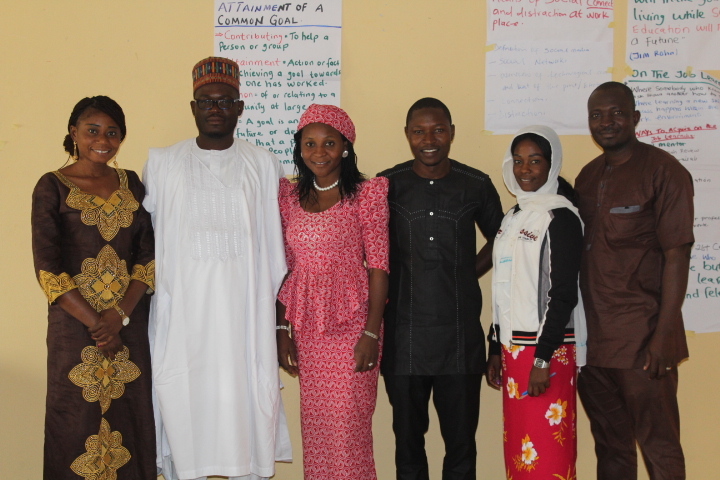 CIVIL SOCIETIES IN BAUCHI MET WITH CAREFRONTING NIGERIA ON FUNDING OPPORTUNITY SELL Foundation played host to the Bauchi State Network of Civil Society Organization (BASNEC) and Carefronting based in Kaduna for consultative forum at the youth formation on the 20th of November 2017. The focus was on seeking ways of working with Civil Society Organizations on Counter Violent Extremism in Kenya and Nigeria. The meeting looked at the possibility of offering training to member organizations as a way of building their capacity. The Coordinator of Carefronting Mr. Maji Peterx said that they hope to work with NGOs in Bauchi to run the project and urged the representative of the Organizations to give useful contributions that will be considered in preparation to selecting Organizations that will help in the implementation of the project. Member organizations under the auspices of BASNEC made useful contributions and hoped that some organizations in the network will be eventually selected to implement the project and those who may not be that lucky will be giving the opportunity to build their capacity as suggested. 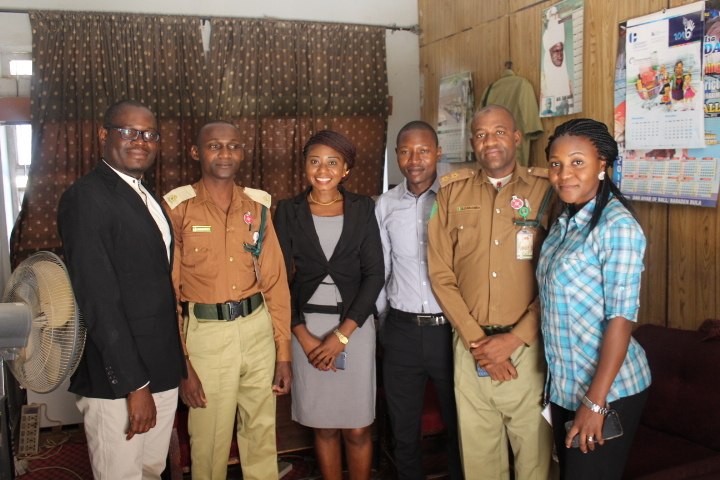 The Resource Team went on advocacy visit to the Bauchi State Command of the Nigerian Prisons Service. The Team was received by the Controller, Suleiman I. Suleiman and his Team. 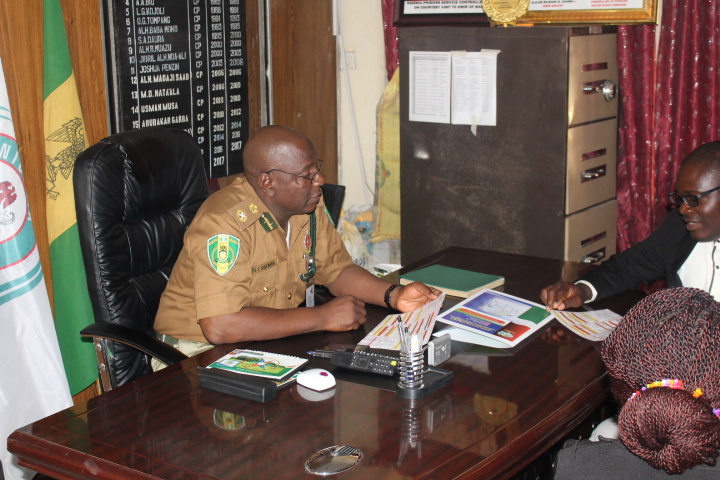 The visit was aimed at finding areas of collaboration with the Prisons Service to offer SELL programme to the inmates. The Controller expressed joy at the visit and hope to see to the actualization of the collaboration, he urged SELL to consider payment of fines on behalf of some inmates as that Will help in the reformation and reintegration which is the most difficult part of the reformation process because of stigmatization by family’s and members of the communities. The visit was led by the Executive Director, Fr. Patrick Esekon who was accompanied by the Beji Jibe (Team Leader) Mary James (Administrative Officer) and John Jiddere (Hausa Coordinator). The hope of the Sharing Education and Learning for Life (SELL) Programme to reach as many young adults as possible in the West African sub region and beyond with life shaping issues is becoming a reality with the establishment of the Ghana Resource Centre in the Northern Region of Ghana. The Centre which was established by the collaborative effort of the St. Patrick Missionary Society (SPMS) and the Presentation Brothers (West African Province) is located in the Presentation Brothers Education Outreach Centre (EOC) building in Logre, Bolgatanga. Fr. Leo Traynor travelled to Ghana in October 2016 and set up the resource room over there alongside Tommy Hayden and John Evans. As a result the director of SELL Foundation and the Team Leader traveled to Ghana last year for collaboration meeting. On the 20th -21st October, Vincent Agyei, Tommy Hayden and Leo Traynor came to Nigeria for relationship building meeting, the high point of the meeting was on Exchange Programme between Nigerian and Ghana Team as well as sharing of technical resource. We look forward to more areas of collaboration. MEETING WITH CHAPLAINS OF CATHOLIC YOUTH ORGANIZATION NIGERIA (CYON) JOS ECCLESIASTICAL PROVINCE: The Resource Team meets with the Chaplains Catholic Youth organization of Nigeria twice every year. The Last meeting of the year held on the 6th -7th November 2017. Discussions focused on how best the SELL programme can continue to meet the needs of the Catholic youths in the province without compromising the teachings of the church while extending the programme beyond the Catholic Church and other faith. The Chaplains play pivotal role in supporting the activities in the various community. As a mark of appreciation for the impact the SELL programmes has made in the lives of the youths in the province, a letter of appreciation was sent to Saint Patrick’s Society (SPS) for the sponsorship of the programme in the Ecclesiastical Province in Jos. Already discussion has began on how the SELL programme will be replicated at the CYON national level to spread the programme all over the country. As a deliberate strategy to carry all stakeholders along, The CYON Diocesan President in Jos Province met on the 17th-18th November, 2017 to discuss areas of needs in the youth apostolate in their various Dioceses with a view of incorporating the outcomes into the programme. This meeting was essential to the Resource team just as we need input from SELL community Animators programme in the catchment area of the organization. The animator’s meeting brought to an end review of 2017 Programmes implementation and planning for the year 2018. It was indeed a great opportunity to evaluate the year as it helps in considering the needs of each community in the planning process which serves as a guide towards meeting the needs of the Young People of the North Eastern Part of Nigeria and Plateau. The meeting takes place twice every year. It was held on the 11th-12th November, 2017 at the Youth Formation Centre, Bauchi. The 9th BOT Meeting of Sharing Education and Learning for Life Foundation, Nigeria held at DRACC, Abuja On The 4th-5th December, 2017. The Board of Trustees (BOT) is the legal holder and the highest decision-making body of SELL Foundation. The BOT meets twice every year where they use their collective goodwill and networks to support the growth of the Foundation as well as review the policy documents and activities of the Foundation. Currently the Resource Team members are work towards winding up office work for 2017 with evaluation, tracking of success stories and planning for the coming year. The end of the year is a natural time to run reports and evaluate how your business has performed over the year. Running reports is also an essential part of preparing for the tasks ahead towards meeting the needs of our beneficiaries. Thanks for been part of our journey. To God be the glory, all the activities of the last quarter of the year were conducted successfully. Thank you for your contributions towards the attainment of SELL activities in the year 2017, as we look forward to better collaboration in 2018.